The ED on Thursday questioned Bikrajeet Singh Ahluwalia of Ahluwalia Constructions Pvt. Ltd. in connection with the alleged irregularities when two Railway hotels were leased out for maintenance in 2006 during then Railway Minister Lalu Prasad’s tenure. 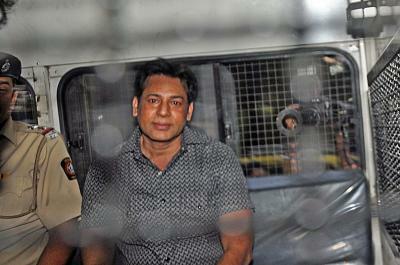 The official said the agency had also summoned Sujatha Hotels owners Vijay and Vinay Kochhar for questioning. The ED had, on July 27, registered a separate case under the Prevention of Money Laundering Act after a Central Bureau of Investigation (CBI) lodged an FIR against Rashtriya Janata Dal chief Lalu Prasad and his family members. The ED is investigating the case against the former Bihar Chief Minister and others for alleged transaction of money through shell companies. On July 5, the CBI had registered a case against Lalu Prasad and his family members. 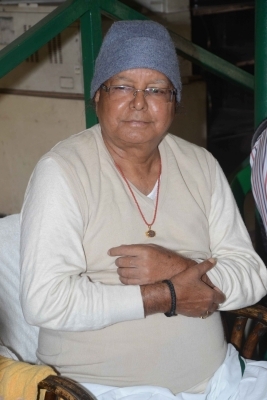 As the then Railway Minister in 2006, Lalu Prasad allegedly handed over maintenance contract for two Indian Railways Catering and Tourism Corporation (IRCTC) hotels at Ranchi in Jharkhand and Puri in Odisha to Sujata Hotels company of the Kochhars after receiving a bribe in the form of a plot of prime land in Patna in Bihar. The CBI claimed that the kickback was paid through a “benami” company owned by Sarala Gupta, wife of RJD MP Prem Chand Gupta. The CBI FIR alleged that Vinay Kochhar sold a commercial three-acre plot of land in Patna through 10 sale deeds on February 25, 2005, for Rs 1.47 crore to Delight Marketing Company, in which Sarla Gupta was a Director. The FIR alleged that the land was sold at a price below circle and market rates and was falsely shown as agricultural land to evade substantial stamp duty. During the CBI preliminary inquiry, the agency allegedly found that the said land was sold by the Kochhars to Delight Marketing and payment was arranged through Ahluwalia Contractors and its promoter Bikramjeet Singh Ahluwalia. Earlier in the day, the CBI summoned Lalu Prasad and his son Tejashwi for questioning on September 11 and 12.